Richard Hess provides an accessible account of the discovery of archaeological and textual materials and the debates that have arisen over their importance for biblical studies. 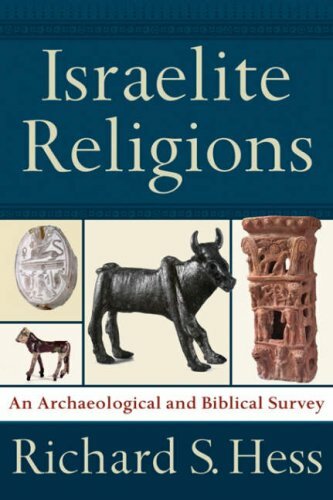 After a general introduction to the study of religion, he surveys the field with regard to ancient Israelite and pre-Israelite western Semitic religious traditions. Hess then turns to consider the biblical literature and how other documentary evidence might enlarge our understanding of ancient Israelite religious practices and beliefs. One of the central scholarly debates concerns the question of when the Israelites developed their monotheistic impulse. After examining the evidence, Hess argues for the early establishment of the monotheistic tradition in ancient Israel. Richard S. Hess (PhD, Hebrew Union College) is Professor of Old Testament at Denver Seminary. He is the author or editor of a numerous titles, including 'Israel's Messiah in the Bible and the Dead Sea Scrolls'(Baker Academic) and Commentaries on the Song of Songs and Joshua. He is a contributor to the 'Dictionary of the Old Testament' and the 'New Dictionary of Biblical Theology' (Both IVP).